Andrew Gordon joined CFG Brokerage Network and Commonwealth Financial Group in the Spring of 2018, where he serves as Director of Advanced Sales. 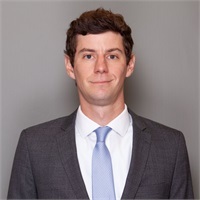 Andrew works directly with CFG Brokerage Network producers on the pre-sale analysis and design of advanced planning cases in the Business, High Net Worth, and Personal markets. Prior to joining Commonwealth Financial Group Andrew spent 10 years at First American Insurance Underwriters, a full service Brokerage General Agency in the Boston Area. As Senior Case Design Specialist, Andrew worked with top national insurance producers from a multi carrier design standpoint. Andrew is a graduate of University of Delaware’s Lerner School of Business where he concentrated on Economics and Marketing. Andrew still resides in the City of Boston, where he is originally from.